A second judge has tossed a case brought by former Gov. Pat Quinn calling for the Chicago Board of Education to be transformed into an elected body. Cook County Chancery Court Judge Michael Mullen granted the board’s motion to dismiss the case Monday afternoon, ruling mayoral control over the seven-member body does not violate the voting rights of Chicago residents. Quinn – Illinois’ Democratic governor who served from 2009 to 2015 – joined with Chicago Public Schools parents and community activists to file suit in both Cook County and federal court last October, claiming the law granting Chicago’s mayor authority to appoint school board members violates city residents’ due process and voting rights. On top of dismissing the case, Mullen also rejected the plaintiffs’ motion for immediate injunctive relief. Attorneys for the Board of Education filed a motion to dismiss both cases late last year, arguing the plaintiffs have no right to an elected school board under federal or state law, and are instead attempting to twist the language of the Voting Rights Act. Earlier this month, federal Judge Elaine Bucklo agreed and granted the motion to dismiss that suit. 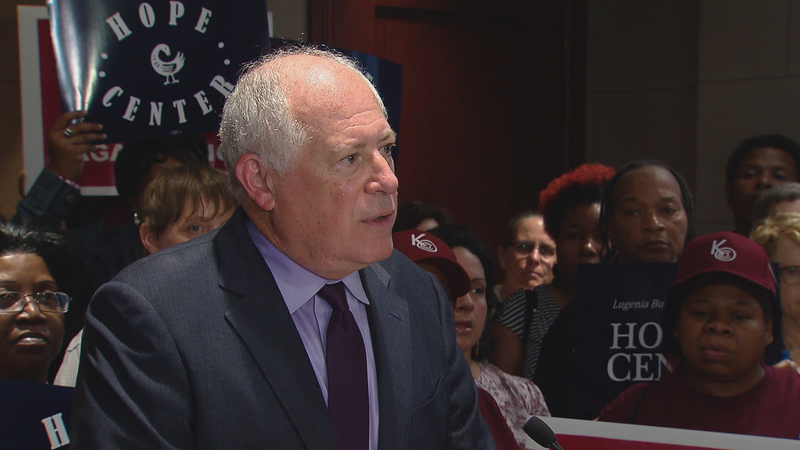 “We think there’s a federal right to vote and a state right to vote, and when it comes to electing Chicago school board members, that’s not being adhered to,” Quinn said. Chicago Public Schools is the only school district in Illinois with an appointed Board of Education. The city's mayor has controlled school board appointments since 1995 when the Chicago School Reform Act was adopted, eliminating the nominating committee that had been tasked with screening and selecting candidates for mayoral approval. Multiple attempts have been made over the years to install an elected board, but none have found success. Mayor Rahm Emanuel has been resistant to those efforts in the past, saying he believes a board election would introduce more politics into education. State Rep. Rob Martwick, D-Chicago, introduced a bill last year that would create a 21-member elected Board of Education. Despite overwhelming support in the House, the bill was never called for a vote in the Senate and eventually died. Martwick, who earlier this month said he was supportive of Quinn's efforts, reintroduced that bill in its exact same form earlier this month. It’s unclear whether Quinn and his co-plaintiffs will only appeal the state ruling or the federal ruling – or both – but the former governor does plan to continue fighting. Nov. 18: Members of the General Assembly’s Education Committee sounded supportive Wednesday of a bill that would convert Chicago’s appointed Board of Education into an elected body, but Republicans and Democrats alike cautioned that more work is needed before the legislation is ready for a vote. Oct. 5: Pat Quinn is among seven plaintiffs who have filed suits in Cook County and federal courts, claiming the law granting Chicago’s mayor authority to appoint board members violates city residents’ due process and voting rights.